Seyfettin Gürsel'in Notları: What can we expect from an elected president? In my column on Feb. 14, I suggested two possibilities of the evolution of the political situation after the local elections to be held on March 30. Depending on the Justice and Development Party's (AKP) share of votes, Prime Minister Recep Tayyip Erdoğan will either take on the risk of a presidential regime saga, or he will choose to maintain the existing presidential regime and retain his title of prime minister. I argued that Mr. Erdoğan would not want to become a president with limited executive powers, as is the case at present. Thus, his decision will depend on the possibility of winning a referendum majority (more than 330 seats) in the general elections that will follow the presidential election. Indeed, the only possibility of transforming the current parliamentary system into a presidential one is to secure a referendum majority in Parliament, which will allow the AKP to change the constitution. 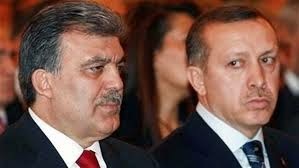 I claimed that if this possibility is perceived as being quite risky, Abdullah Gül, the current president of the republic, will be the AKP candidate in the presidential election. Recent events have made the second scenario more plausible. Indeed, the signs being given by AKP spokespeople, including Mr. Erdoğan himself, show that a repeal of the three-term limit which prevents Mr. Erdoğan from ruling for a fourth term is definitely on the AKP's agenda. This three-term limit has been a party rule for a long time, and Mr. Erdoğan has always defended this rule with passion. So, why this sudden U-turn? I think the AKP is expecting a share of votes below the critical threshold of 45 percent despite the optimistic declarations of its managers. I have already explained why 45 percent constitutes a critical threshold with respect to Erdoğan's decision on the presidency, but let me reiterate it briefly. If it obtains less than 45 percent of the vote, the AKP is unable to gain the referendum majority, even if it changes the electoral system by narrowing the constituencies as has been suggested by the prime minister. I think the presidential ambitions of Mr. Erdoğan seem to be over. If this is the case, and we will learn this very soon, the AKP needs another candidate for the presidential election, which will be held for the first time by popular vote. It has no other alternative than Gül, the co-founder of the AKP along with Erdoğan and the president of the republic. If Gül is elected, and it is almost certain that he will at least go through to the second round, a new era in Turkish politics as well as in the internal balances of the AKP will open up. Indeed, the powers of the president of the republic were designed in the existing constitution by the military rulers of the 1980 military coup in such a way that Gen. Kenan Evren, who led the coup, would be able to control the elected civil governments after he gave up his uniform and became president of the republic. These powers include, besides the standard power of veto of the laws voted by Parliament, the right to nominate a number of high bureaucrats in state organs, including those in the high judiciary. Moreover, the president of the republic has the right to lead the government's meetings. President Gül refrained from using this last right during his mandate as Mr. Erdoğan has been the uncontested leader of the executive power. But things may change when the president is elected by the people. Two factors allow me to believe that Mr. Gül would behave differently during his second mandate. The first factor is related to the fact that Mr. Gül as a candidate running for an election is obliged to present a program and make some promises. Since these programs and promises cannot be about the governance of the country, which remains the exclusivity of the government, they can only be about safeguarding freedoms and the rule of law and increasing democracy. Candidate Gül must proclaim how and which goals he will use his rather extensive powers for. The second factor is the fact that a president elected by the people will give the president of the republic greater moral weight and legitimacy in the balance of power within the executive and more specifically within the AKP. The existence of a president elected by the people and having rather great powers was criticized as an unsustainable regime since it encompasses two heads of the executive power. I agree. But for the time being I hope the elected president will constitute a minimal system of checks and balances against a prime minister who is not afraid of breaking the law.